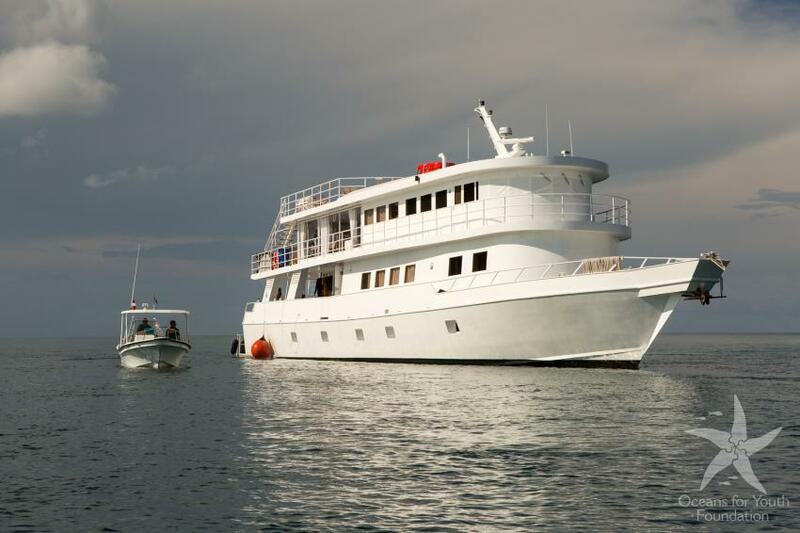 The Jardines Aggressor I is another member of the world-famous and experienced Aggressor Fleet, that provides you with the opportunity to discover diving destinations in Cuba. The Jardines Aggressor I can accommodate 20 passengers. The boat has 8 deluxe cabins on the lower deck and 2 master staterooms on the upper deck. All the rooms have private showers and air conditioning. The master staterooms have beds that can be converted from twin to double. The rooms are suitable for sharing. The lounge of the Jardines Aggressor I has air conditioning, and is a comfortable place to spend your time between dives and time in the evenings after a day of diving. The boat’s guests can use the entertainment facilities and watch movies or presentations. There is a big sun deck with many lounge chairs and a hot tub, where you can enjoy the wonderful view. The Jardines Aggressor I dive deck is equipped with 12-liter tanks. Divers can rent gear items on board if they book them in advance. After diving, passengers can use the fresh-water shower on the dive deck. Safety on board is one of the main concerns of Aggressor Fleet. Jardines Aggressor has fist aid kit and other necessities to ensure your safety during the safari. The Jardines Aggressor lets you visit dive spots in Cuba that are unspoiled by tourists, with abundant corals and curious fish. Not many people go here, so you can discover the marine life in Cuba without a crowd. Jardines de la Reina (“gardens of the queen” in Spanish) is rich in coral species and different marine creatures, such as barracudas and eagle rays. Sometimes divers are lucky and see bull sharks. Cuba has a tropical climate with an average air temperature of 21°C/69°F in January and 27°C/80°F in July. Diving is possible throughout the year, but there can be rough conditions from May through October during hurricane season. The high scuba diving season in Cuba is from November to May.